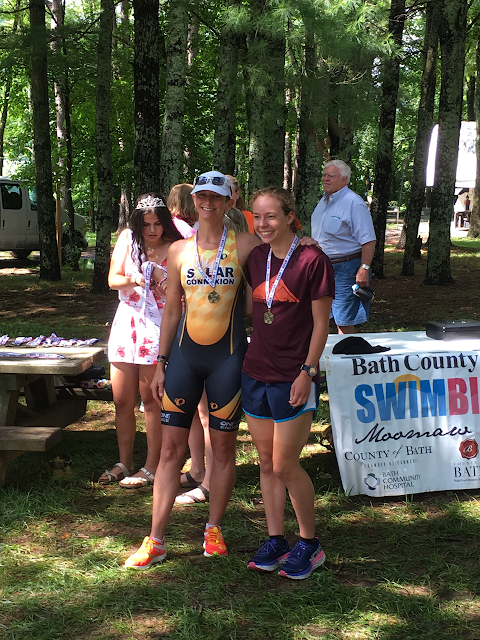 Last weekend was my 8th Bath County Triathlon! I've raced it EVERY year since 2010 except 2014 when I was recovering from surgery. Unfortunately, it seems this was the final year of this beloved race on Lake Moomaw in the Allegheny Highlands (near the iconic Homestead Resort). It was a very small race this year with a combined 90 individuals and teams. 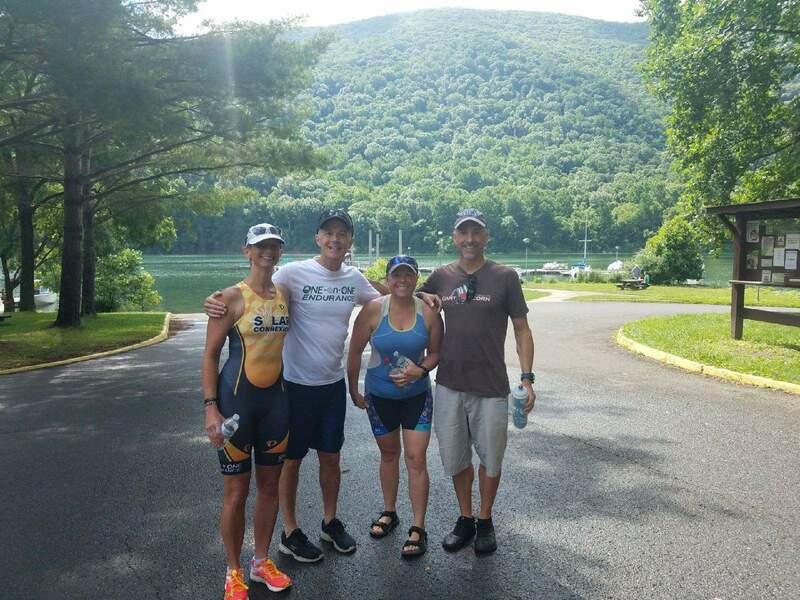 The race features a beautiful, clean lake and closed bike and run courses. 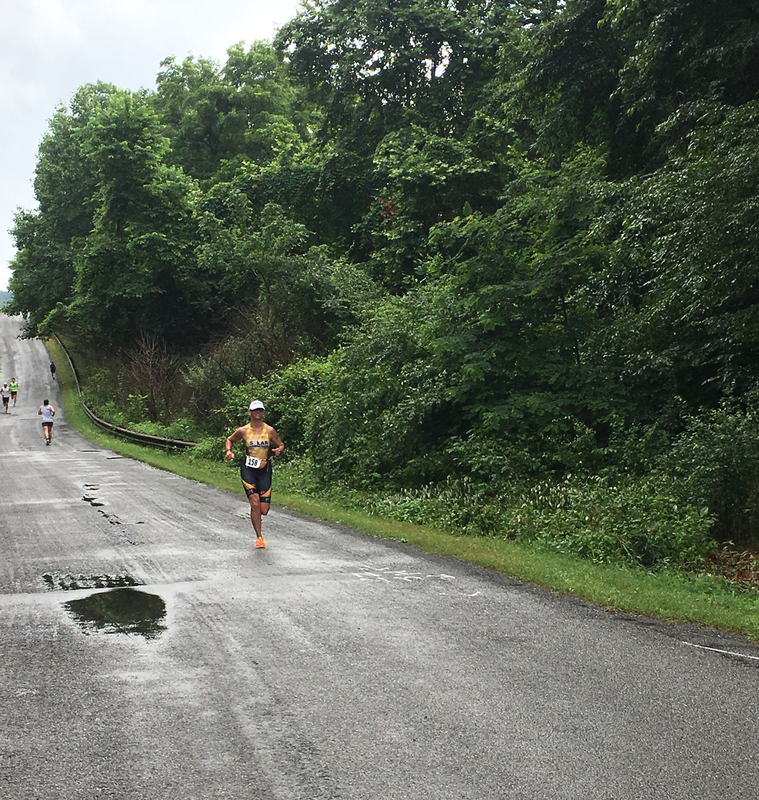 But it's not without challenge in the form of significant hills. I wanted to write this post to say thank you to the Bath County community. 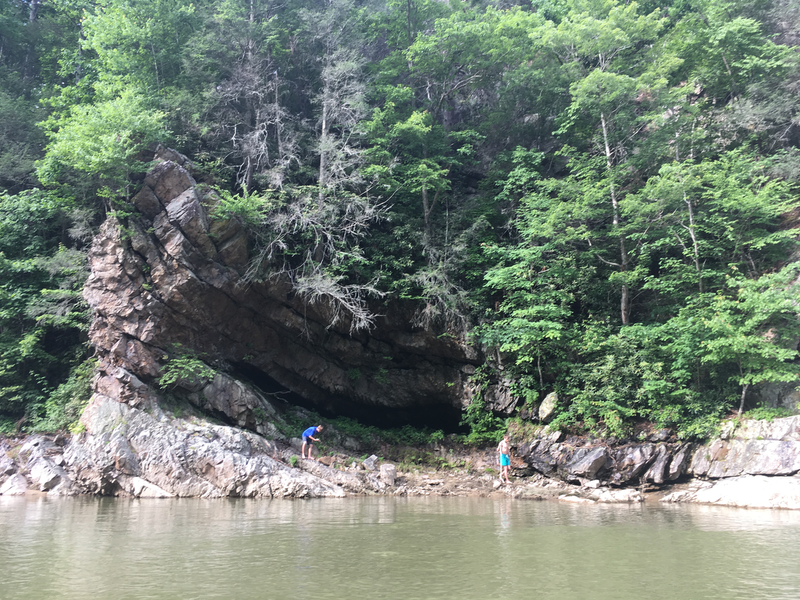 Without this race many of us would never have experienced this spectacular area, well off the beaten path. And the back roads make for a fun drive in a little yellow car! Just a few things of note this day. First of all, I broke the valve off my tube stem on my front tire when I was pumping it up race morning in transition. Boy did that sucker go flat fast! I posted about this on race day, but I shocked myself by how quickly, efficiently, and without swear words, that I got it swapped out. I guess I learned from those few times I practiced and seemed to do everything wrong. I'm not kidding, there was one time I practiced and I'm pretty sure it took me like 45 minutes and my hands were filthy at the end. I don't know how in the world I made it so complicated. geez look how skinny my bike looks! After I got set up, it began to rain. I discovered just how difficult it is to put a wetsuit on when you are already wet. 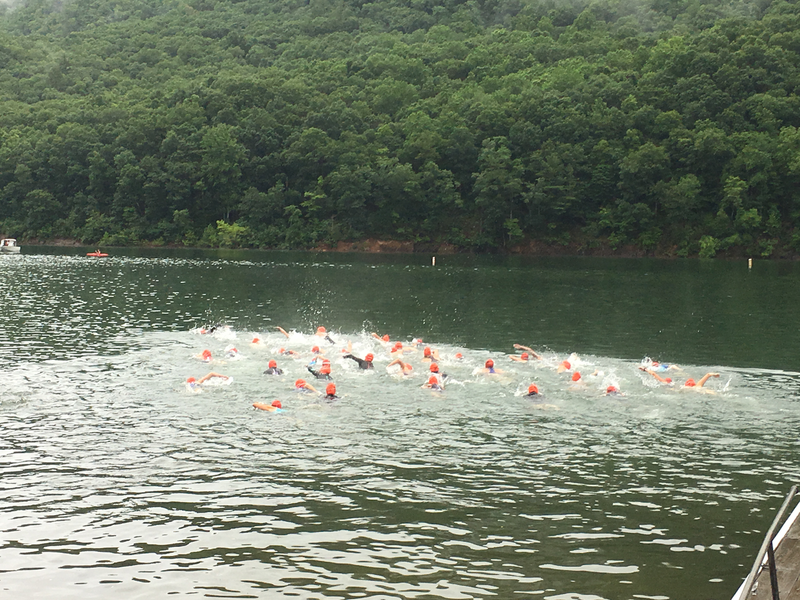 After 7 Bath County swims in the clockwise direction, we were informed we'd be swimming counter-clockwise. Whoa!! 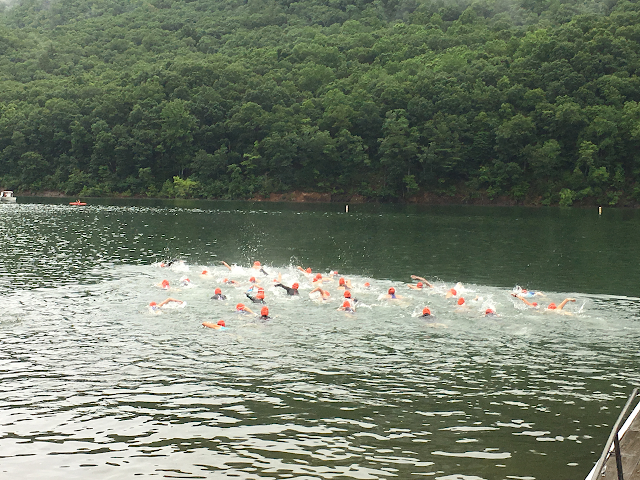 Anyway, I took off in the frenzy at the front of the swim and hung on as best I could. I came out of the water in 5th, right behind eventual winner Jen Fleming. 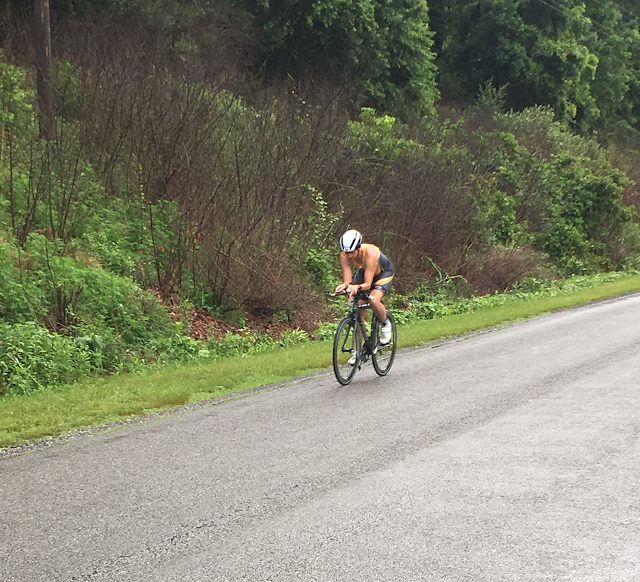 After a 3rd best T1, I headed out on the still-wet bike course. where I traded leads with Becky Keller (eventual 2nd place) but ultimately clocked the fastest bike split of the women. Bath is/was a very spectator-friendly race. 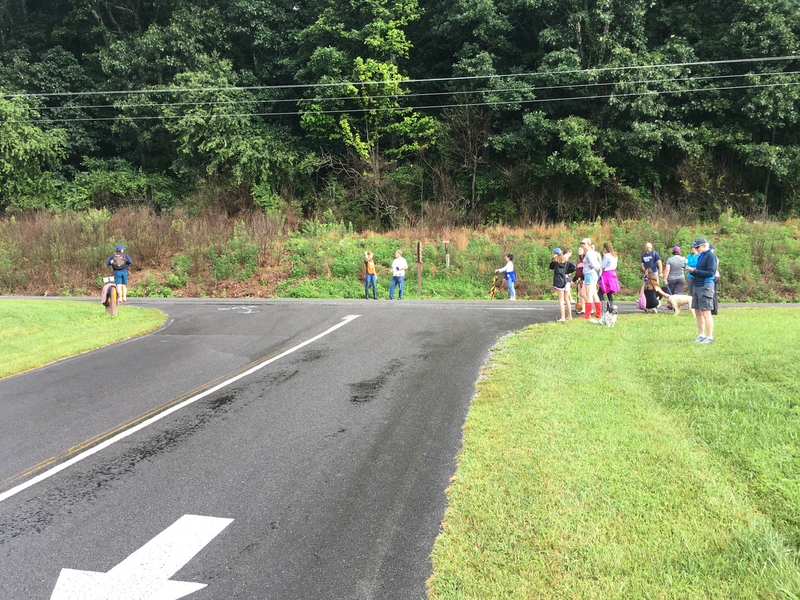 This was the corner for watching the start/finish of the bike, then you walk 75 yards down the street to watch the start/finish of the run. Behind me you see "THE" hill - we start the run going up and finish coming down! 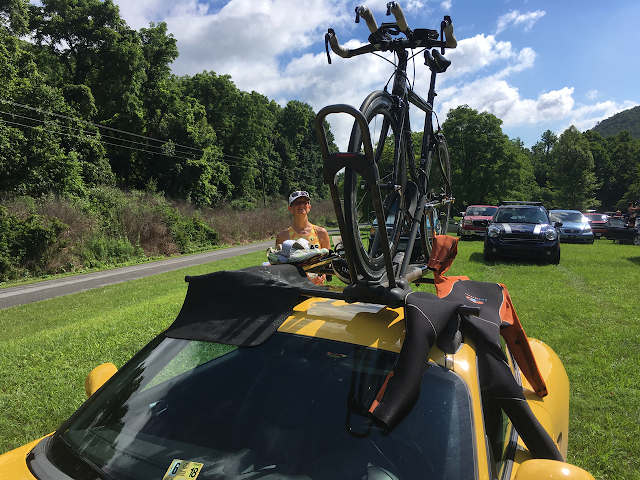 We hung out at the finish, and with the last competitor under the finish arch, the Bath County Triathlon was over. Awards with Jen; Becky was not able to stay. I've seen participation drop in quite a few events around me. I sometimes wonder if it's because people are just busier or overwhelmed trying to keep their heads above water in an increasingly challenging world. 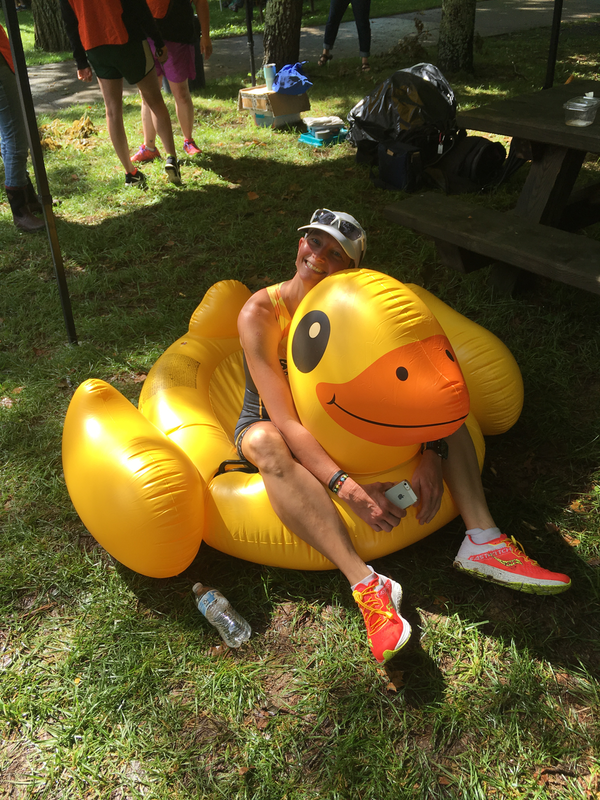 Me - me, I cling to training and racing (and the turn buoy duck). I appreciate and need the time outside (and away from my computer) and the opportunity to experience new places. I don't need fancy vacations or fancy things, I prefer my fun served up by the mile, and frequently! The little yellow car serves as a nice drying rack, among other things! 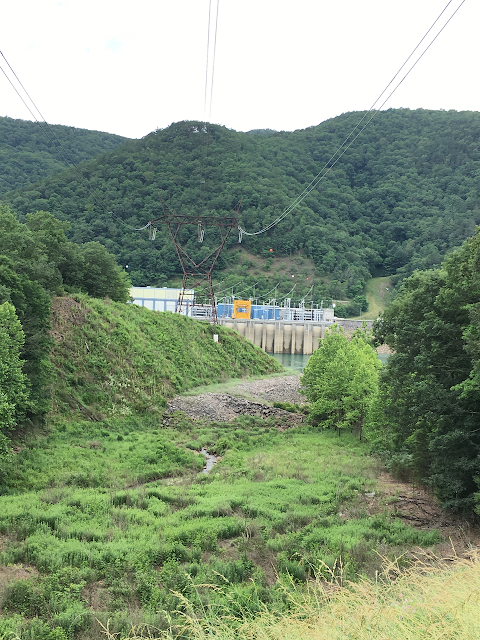 Post-race we went to the Bath County Pumped Storage Station. It's the largest in the world. I taught about it in the Intro to Green Engineering course last spring but had not been to it. It's two large vertically separated reservoirs in which water is pumped to the higher one during times of low energy demand, then the water is released and captured as hydroelectric energy during times of peak demand. That process happens over and over and over. It's a giant battery of sorts. We could only see the lower reservoir from afar (below), but it was still cool! So that's the report! My next triathlon is USAT Age Group Nationals in August. This trip was of the boys' choosing. 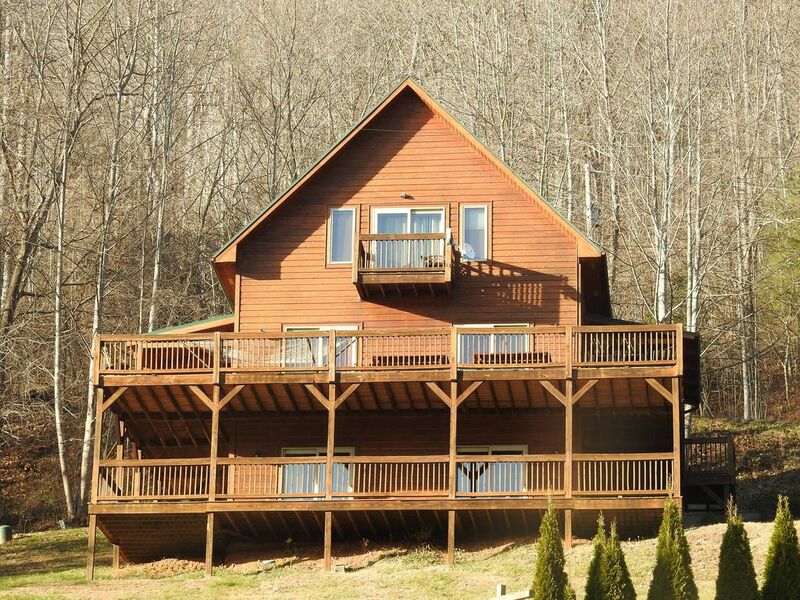 When I asked what they wanted in a summer getaway, they decided on the following: a lake front cabin with nice views and a hot tub. 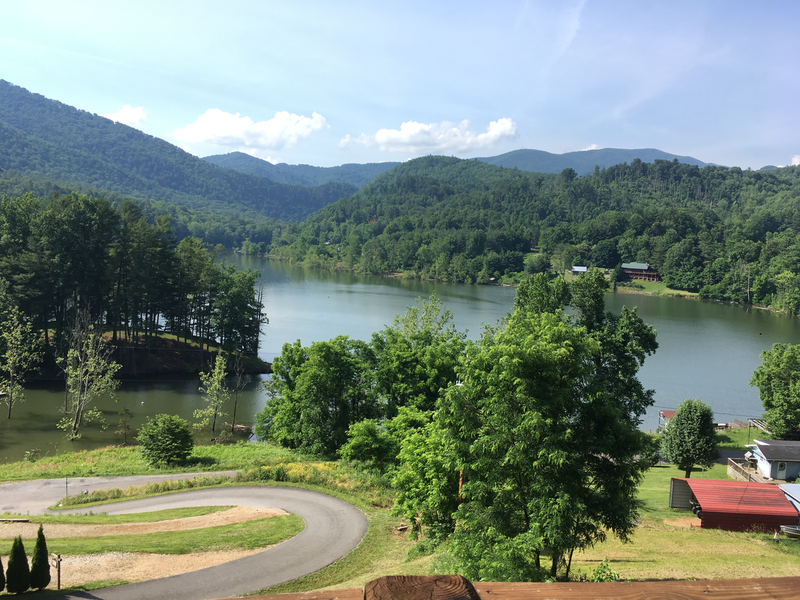 I found a property online that seemed right, and although I knew nothing about the lake, I'm always up for an adventure. The cabin was off on one of the smaller "arms" of the lake. We planned to hang out on the water in our inflatables, canoe, play games, cook over the fire pit, and just unplug. Our lakefront "cabin" which was quite sizable. 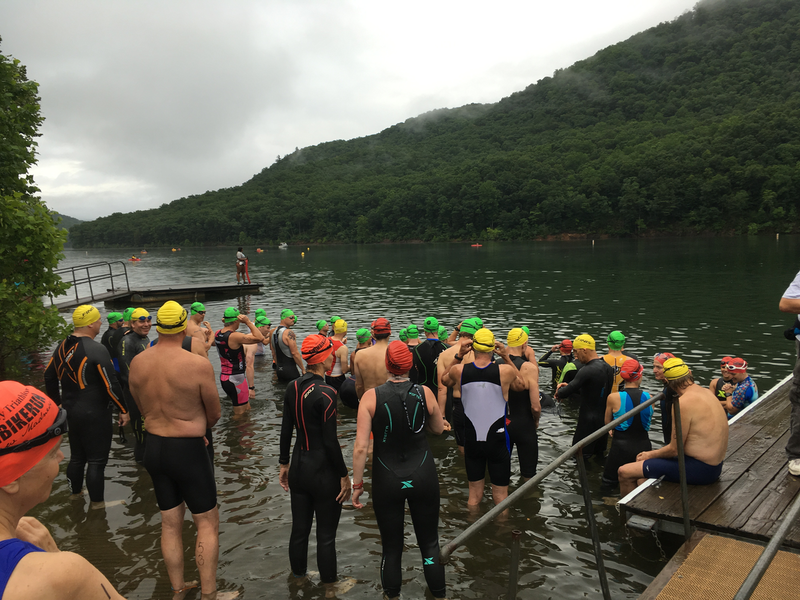 I figured I'd swim a little, but I'm usually pretty nervous (very) about swimming in open water outside of races and organized training in our home quarry. But something about this lake just called to me. Can you fall in love with a lake? Because I surely did. I knew I could swim it and feel safe and feel free. First, there were almost no powerboats. It was mainly canoes, quiet fishing boats, and the occasional pontoon. 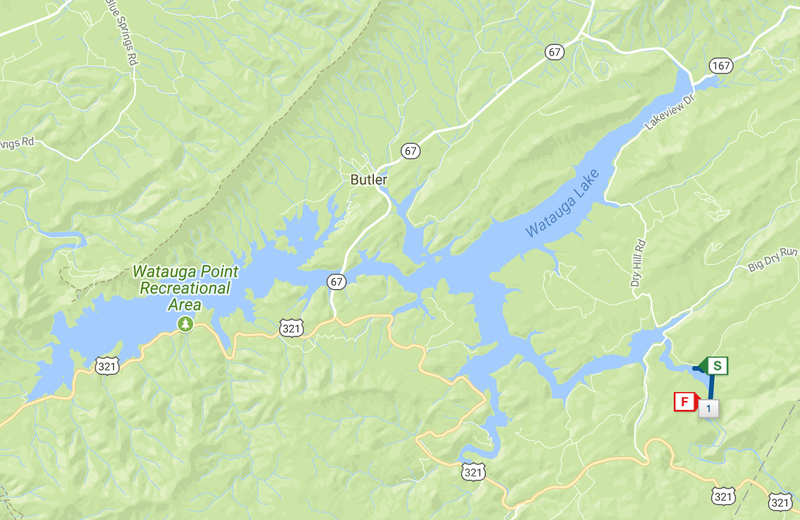 I think there were two reasons for this -- first, it's a smaller area and near the mouth of the Watauga River. It's like a cul-de-sac and not a thoroughfare. Secondly, the area had major storms recently that led to flooding up the riverbanks that washed a lot of logs and debris into the lake. I don't think it's the kind of thing you want to take your powerboat through. Some of the larger logs in the lake post-storm. Second, the water temperature was about perfect, even for wimpy me. Third, it just felt right. I guess it's like the way you fall in love with a person and can't necessarily explain the nuances of why. But I liked the shoreline, the size, the fact that I could swim across it pretty quickly, the availability of docks just for reassurance. There were enough people out on the water that I didn't feel alone. And it was interesting and had character! I hopped in the water for my first swim Friday morning (while the boys slept) intent on swimming to the furthest dock that I was able to see through our binoculars from the cabin deck. 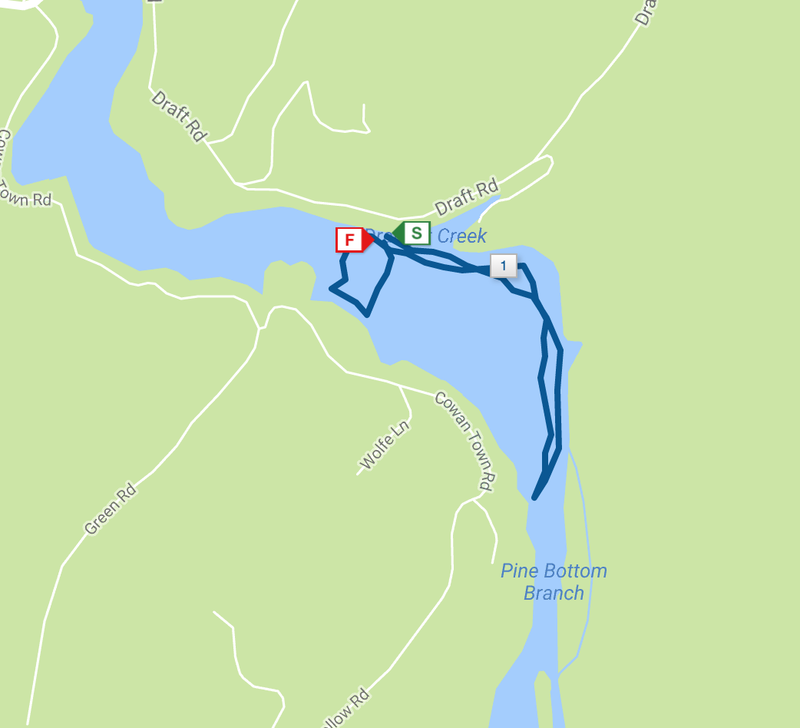 I had my tow-behind inflatable visibility buoy, a bright cap, and I generally tracked along the shore - maybe 30-40m away. As I swam, I felt any sense of nervousness just fall away. I felt amazing - capable and relaxed. I know what you are thinking - don't swim alone!! And generally, YES, I agree. But for all the times I have looked longingly at a lake, wishing I could swim across or just explore on my own, THIS was the most ideal situation to finally do it! I took precautions, I had studied the lake, and if something is going to happen, so be it. There are far riskier things a person can do. 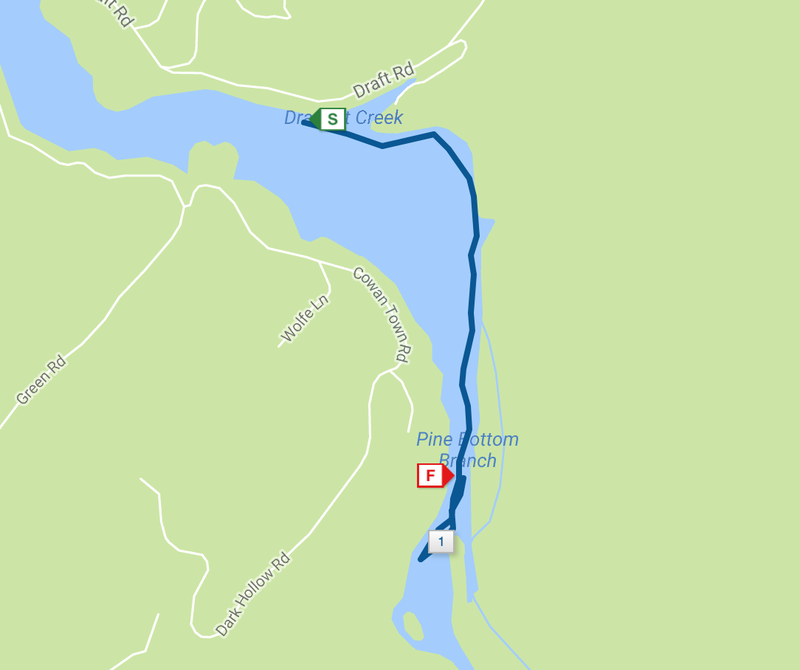 So I swam to that distant dock, along towering rock walls and thick forest. I had to negotiate around floating logs and had the best real-world reason to practice "alligator eyes" of sighting. My hand would come down on small twigs and I would feel it vibrate as my hand began to catch. None of it bothered me. I felt protected by and supported by the water. I thought of nothing but my stroke, my body position, the sights around me. My confidence grew. I reached the distant dock and climbed upon it. I could hear a family outside of the house through the trees. I considered whether I should get back into the water quietly as not to disturb them. I decided against it, and I jumped boldly in for my return swim! After the hour swim I returned to the cabin to make breakfast for the boys. Priorities! That afternoon we had a rainstorm. We watched and heard as it rolled in over the mountain and across the lake. 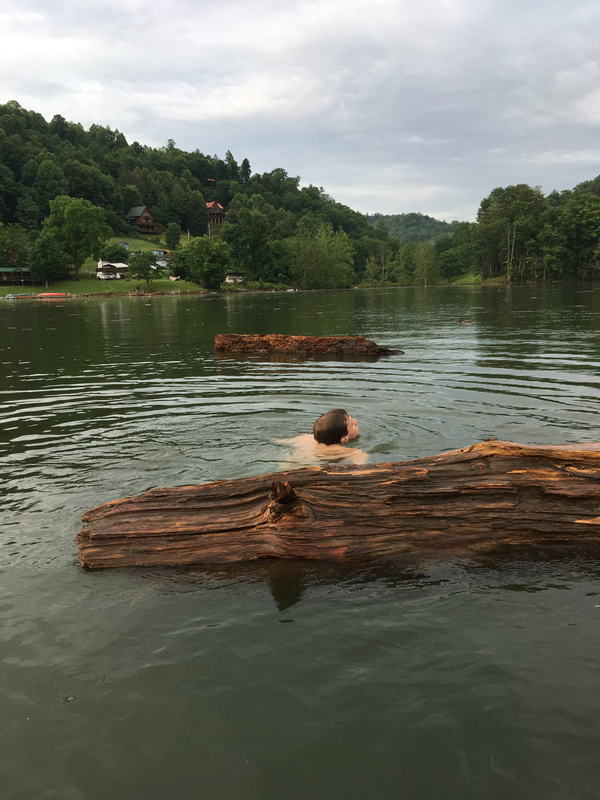 As the clouds disappeared and the fog lifted (and with the boys playing Mahjong), I headed out for a second swim, this time "down river." Between the two swims I'd gone about 3 miles. I did not swim on the grass! 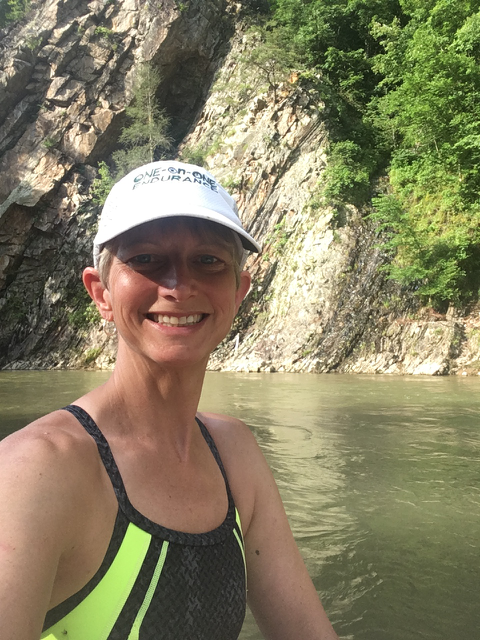 The second day I decided to swim about a mile toward the mouth of the Watauga (same direction as my first swim but further). The lake narrowed and began to resemble a (quiet) river. 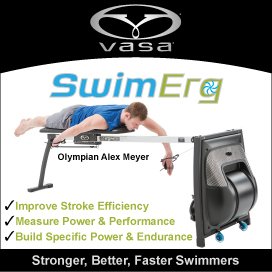 I could absolutely see the appeal of wanting to swim the length of a river or across a lake. 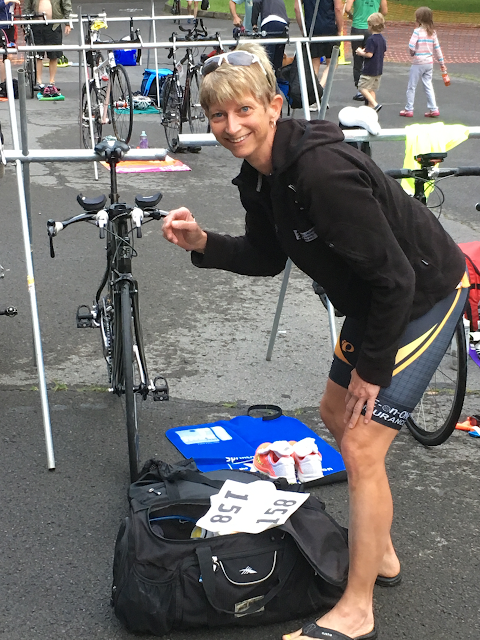 I wasn't breaking any speed records but the swim had taken me to a different head space - away from pace clocks and lane lines and buoys. 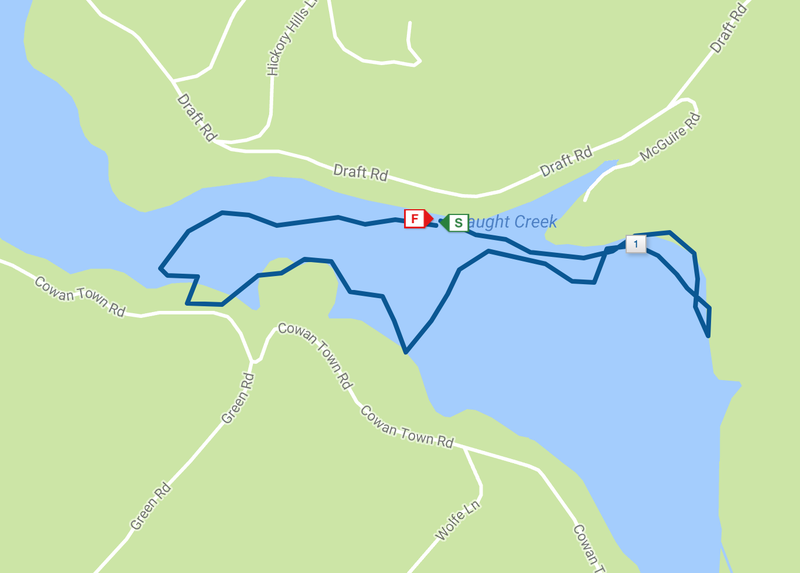 This shows the teeny tiny bit I swam on Saturday. How I would LOVE to swim the whole thing!!!!! It was absolutely magical. MAGICAL. I swam 5 miles in two days, easy-peasy. (Thank you Coach Judy for recent stroke improvements that helped with that!!). There was never a moment I thought of this as training or something I had to do. It was something I could not believe that I got to do! In running and cycling we allow ourselves easy sessions - on scenic trails and back roads. But it's so seldom that we get the same in swimming! Although this was not intended to be a swimcation, those sessions were a wonderful and unexpected addition to a fantastic weekend with four wonderful young men. P.S. No online pics of the boys at their request. SIGH! They explored while their "Uber-canoe" with yours truly waited for them.